During the process of a foreclosure, the mortgage lender can take possession of the property that the homeowner is in default. The procedure varies by state and can take anywhere from one to seven months to complete. Although a lender can legally start foreclosure proceedings with the first miss payment, that usually doesn’t happen. Foreclosure can cost the lenders up to 60% of the value of the loan, so they usually wait until they have no other options to protect their investment. If a homeowner gets too far behind and wants to retain their home, they may file Chapter 13 bankruptcy. After the first missed payment, a homeowner will usually receive a friendly reminder in the mail, and sometimes this reminder will let you know of any late fees accruing. Your warning will get more stern and possibly a phone call on the second missed payment. And on the third missed payment you will likely get a certified letter advising you they intend to start the foreclosure process. A Judicial foreclosure involves the courts and is overseen by a judge. Many states require that the foreclosure process goes through the court system. Typically it takes several months to go through the judicial process giving you more time to find another place to live and potentially save up some money for moving expenses. A nonjudicial process granted in the loan contract and does not go through the court. A power of sale is where the borrower agrees in the mortgage contract that the lender has the right to sell the property to correct any deficiencies in payment of the loan. This type of foreclosure is in the lenders best interest because it happens faster than a judicial foreclosure. In a nonjudicial foreclosure, the lender must file a Notice of Deficiency in the county where the property is located. The homeowner will receive a copy informing them that they have a certain amount of time to bring the loan current, three months is typical, but can vary by state. If the loan is not brought current within the time frame, a date will be set for the sale of the property. 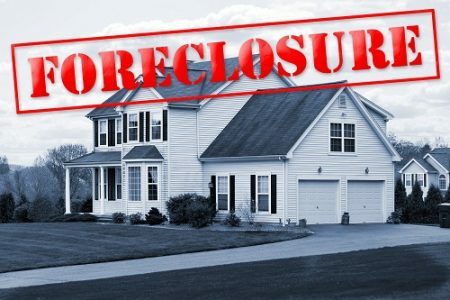 If you have questions about the foreclosure process in your state or have already been served papers notifying you of legal action pending, contact a Houston bankruptcy attorney to see what you can do to save your home.